One and a half centuries ago, Helena became the “Queen City of the Rockies” with the boom brought on by the 1864 gold strike. Helena grew along Last Chance Gulch and in 1875 became the Montana territorial capital. Today the state capital’s grand architecture, numerous museums and historic sites offer a real glimpse into the rich and deep history of the city. 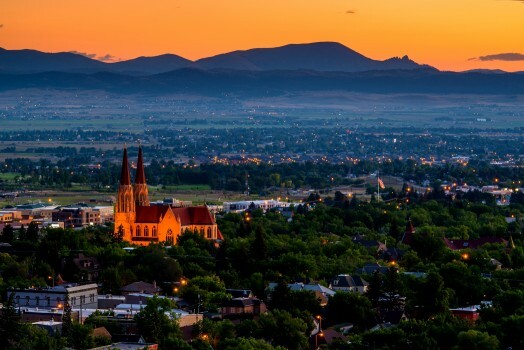 Helena also boasts a vibrant cultural center with a busy event calendar, eclectic shopping, art galleries, terrific local bands, great restaurants, local microbreweries, and an epic trail system. For further information, visit http://www.helenamt.com. Helena was founded as a gold camp during the Montana gold rush, and was established in 1864. Over $3.6 billion of gold was extracted in the city limits over a duration of two decades, making it one of the wealthiest cities in the United States by the late nineteenth century. On July 14, 1864, the discovery of gold by a prospecting party referred to as the “Four Georgians”, in a gulch off the Prickly Pear Creek led to the founding of a mining camp along a small creek in the area they called Last Chance Gulch. Gold strikes in Idaho Territory in the early 1860s attracted many migrants who initiated major gold rushes at Grasshopper Creek (Bannack) and Alder Gulch (Virginia City) in 1862 and 1863 respectively. These ghost towns are frequent destinations for visitors. 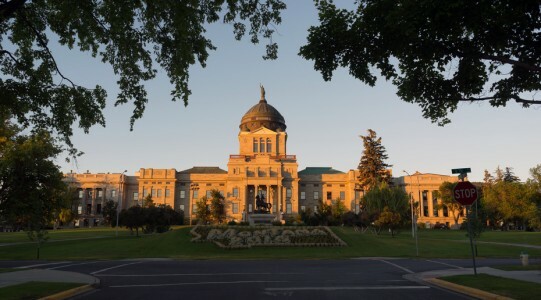 Helena has been the capital of Montana Territory since 1875 and the state of Montana since 1889. The town has a long record of economic stability with its history as being the state capital and being founded in an area rich in silver and lead deposits. Its status as capital makes it a major hub of activity at the county, state, and federal level. Thirty-one percent of the city’s workforce is made up of government positions with private sector jobs comprising 62 percent. 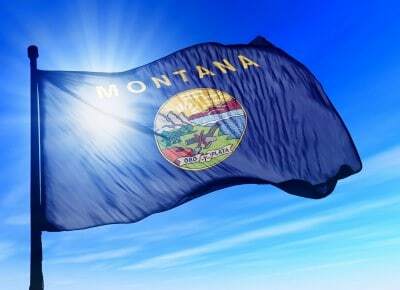 Helena’s economy is also bolstered by Fort William Henry Harrison, the training facility for the Montana National Guard, located just outside the city. Fort Harrison is also home to Fort Harrison VA Medical Center, where many Helena-area residents work. Within Lewis and Clark County, there also remains one mineral processing plant and several light manufacturing facilities, including a division of Boeing. Interesting and notable people from Helena include Stephen Ambrose, Liz Claiborne, Gary Cooper, James Earp (brother of Wyatt), Myrna Loy, and Charley Pride, among many others. Helena is located at 46°35′45″N 112°1′37″W (46.595805, −112.027031), at an altitude of 4,058 feet (1,237 m).